2016 has been a fantastic year for movies and we’ve been spoilt for choice with both new releases and screenings of classics. 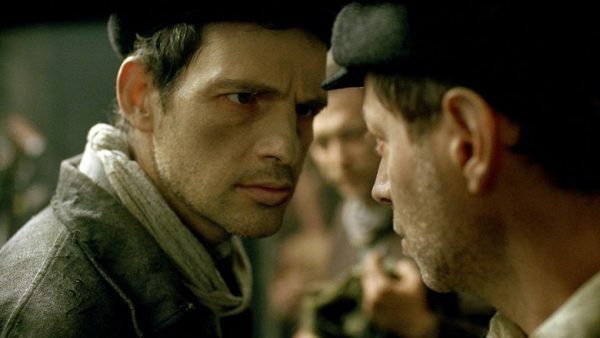 This is the weakest week we’ve had this year but Hungarian holocaust drama Son of Saul is one I recommend, with some reservations. It’s the story of an Auschwitz inmate who believes a recent victim of the gas chambers is his estranged son, and sets about organising a traditional Jewish burial against seemingly insurmountable odds. It’s mostly compelling but it’s shot in a video game inspired style that while initially immersive, becomes all too distracting the longer the film lasts. Needless to say, this is a tough watch. Demolition is an intensely annoying drama about a widower (Jake Gyllenhaal) struggling to grieve who finds comfort in taking things apart. The movie ladles on the metaphors and treats its audience like idiots, and features the most unlikeable protagonist we’ll probably see all year, yet treats him like a hero. One of the year’s most high profile blockbusters arrives this week in the form of Captain America: Civil War. This one continues the formula of Marvel mediocrity with a dull plot, too many characters and blandly choreographed action scenes. Make it stop! Action fans would be better served catching a double bill of Rambo and Rambo III late tonight at the Lighthouse. I’m not a fan myself, though I love the first and fourth movies in the franchise, but I know plenty of you are. If you want a more nuanced take on ‘Nam, check out The Deerhunter at the Lighthouse on Tuesday instead.